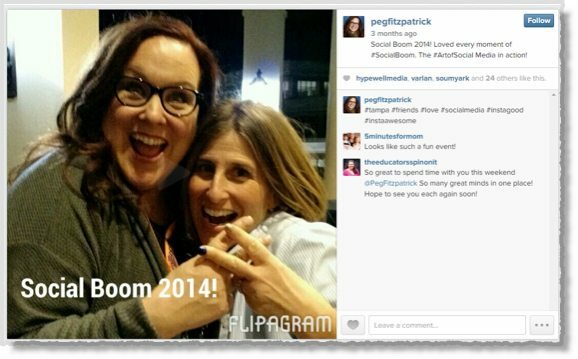 It’s no secret that social media content has become more and more about visual marketing. Why? Because it plays a significant role in attracting people to your content and accelerates sharing. 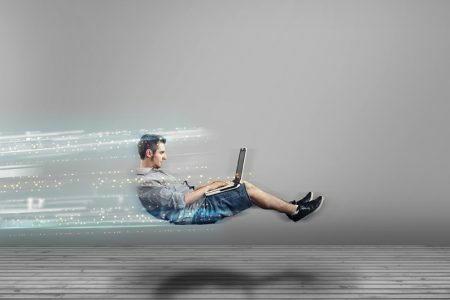 Do you want to stimulate online growth and drive up engagement, traffic, clicks and conversions? If so, using visual marketing will play a key role in your overall content marketing success. Creating strong, consistent, craveable and relatable visuals has become a must do in the content marketing world and the push for visual content is only becoming stronger. A Pew research study found that 54% of all internet users have posted original visual content that they personally created. 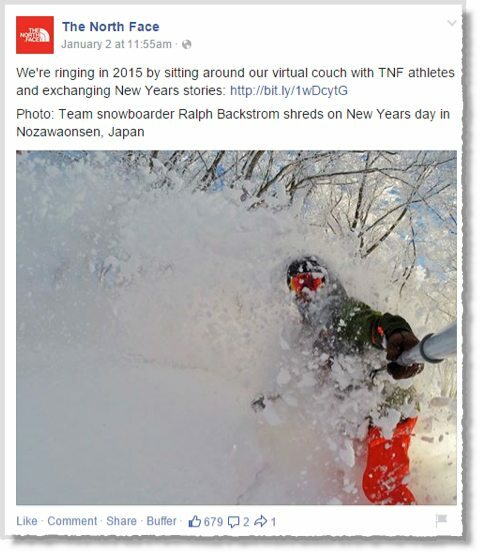 Content with images gets 94% more views than content without, according to another study. Standing out with visual content is critical, and watching what works for others in your industry can help you create content that drives branding clicks and conversions with your own audience. 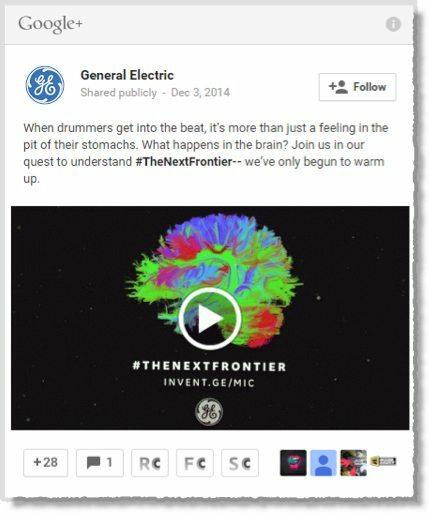 In this article are 11 unusual visual content marketing tips to inspire your own endeavors and will also provide you – at the end of the article – with a bonus list of visual content strategies to help revive your tired marketing tactics. First, let’s better understand the characteristics of content that resonates well with your audience and prospects. It shouldn’t interrupt the user experience – it should blend seamlessly into their experience, not come across like an ad. Replicate the kinds of experiences that people are looking for in their preferred platform. 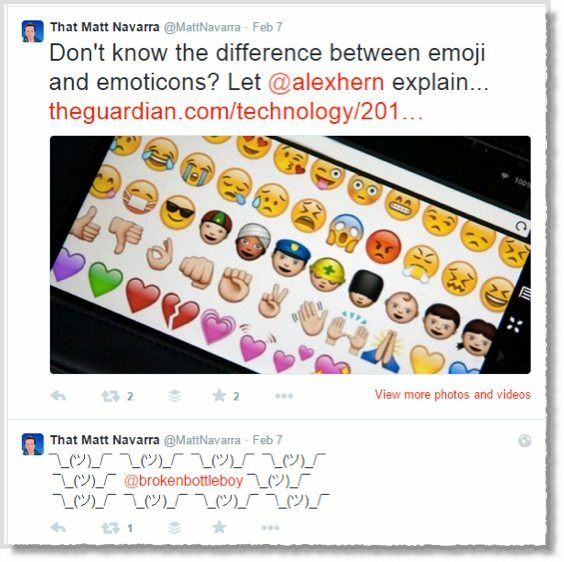 It should be native – in other words, while social media platforms may have some overlap in terms of functions, the audiences and their values can be quite different. While one caters to short content forms, another is for artsy photos. The differences in each make a difference to the audience and, in turn, can make a huge difference to your marketing efforts. It doesn’t ask or demand, but offers – It doesn’t ask users to buy or click here but offers something that is of value to them. It offers social content that is in the form of a story. 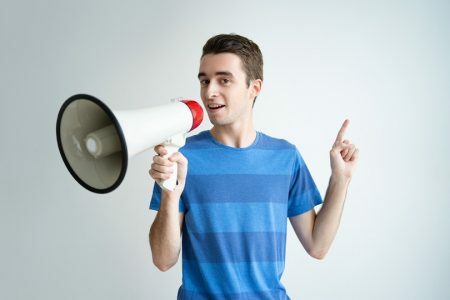 Prove that you understand your audience – Show your fans and followers that you understand them. Everyone consumes culture via technology, whether it be music, videos, GIFs or other media through portable mobile devices. So, create content that shows you understand the issues and news that matter to them. Be consistent and self-aware – Every piece of content on social media platforms forms part of your brand identity, and you want your identity to be consistent. In other words, no matter how the story is told, your personality and brand identity must not change. 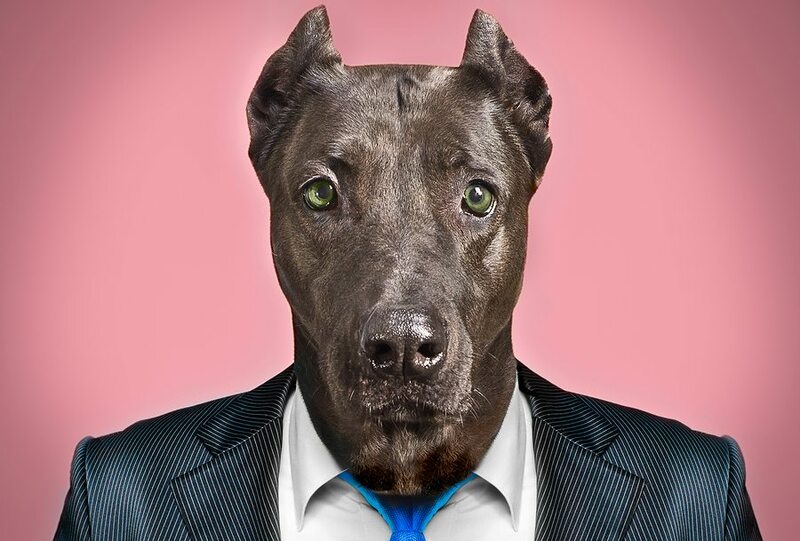 Keeping this in mind, let us look at 10 unusual ways in which visual marketing can drive branding, clicks and conversions. 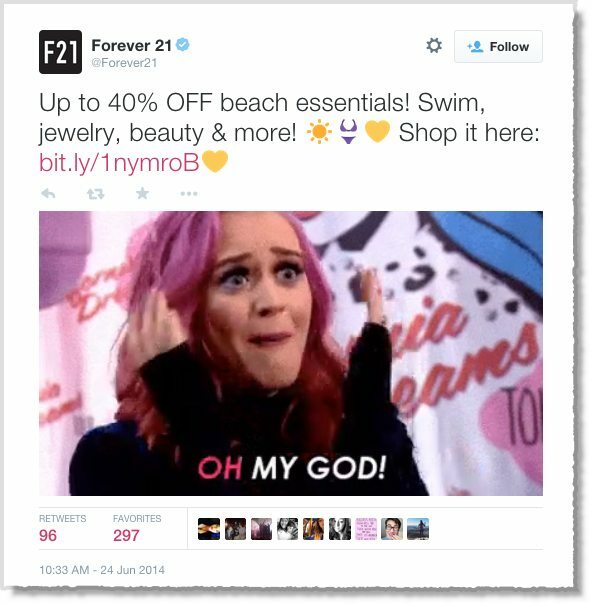 Most tweets get lost in the live feed; however, with some custom formatting, a tweet is likely to catch a reader’s attention. For example, add line breaks or a unique font and/or a visual to add a change to the usual form of tweets. Consider adding emoji or a fun symbol as well. Go to your Settings and click on the Design tab. Go to the “Customize Your Own” section. 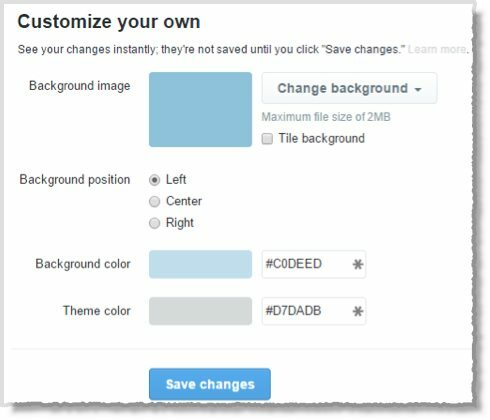 Click on “Choose File” to upload a background image. Note – images justify to the top left of the screen. Image size needs to be 2560px by 600px and a maximum file size of 3MB. Check the box to “Tile Background” if you want your picture to repeat across the background. Choose whether your Background position will be left, center or right. If your image isn’t very large, choose the background color that will show behind the image. Choose a color for links. Choose a black or white transparent overlay. I usually skip over commercials on TV or on the web. However, this one ad caused me to stop and watch. It’s a commercial about printers, for an office supplies company, and HP shows how something as seemingly boring as a printer can affect a family. Check it out below. Discover how your product or service truly impacts the lives of your customers, and run with it. Your audience doesn’t care about your product or service. They do care about how using your product will change their lives. Tell that story. Craft a story around them. Share the story directly with them. Create or facilitate communities where they tend to hangout. For example, on Facebook, you might find that the organic reach of Facebook pages of businesses continues to decline. An alternative that entrepreneurs and businesses should consider is the creation of Facebook groups. It allows members to opt in and to receive direct notifications about updates. To generate more engagement or leads, consider adding a call to action button that drives clicks and traffic. 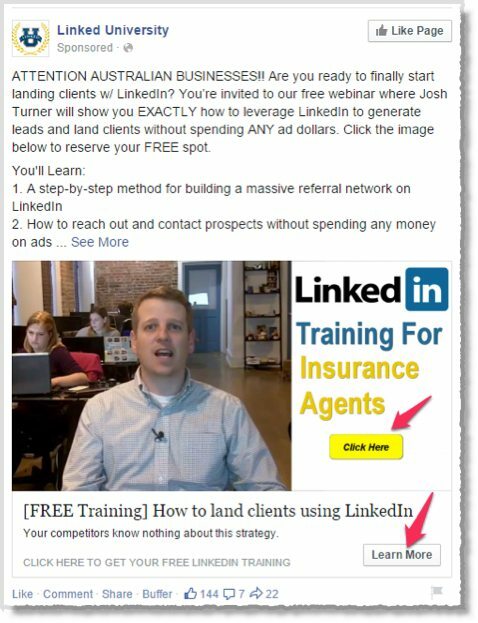 While you may have call to actions on your website and blog posts, consider adding them to social media posts like Facebook like in the example shown below. That way, people reading your post will have the opportunity to click through to it via the call to action. You can use this simple tutorial to do this. Share visual content across different social media platforms in formats that are native to the platform. By regularly sharing across social media platforms, you can convert followers on one platform into followers on another platform, as well being at the top of the mind amongst your audience. Post the same content in formats that are suitable to the audience and in line with the characteristics of each platform. 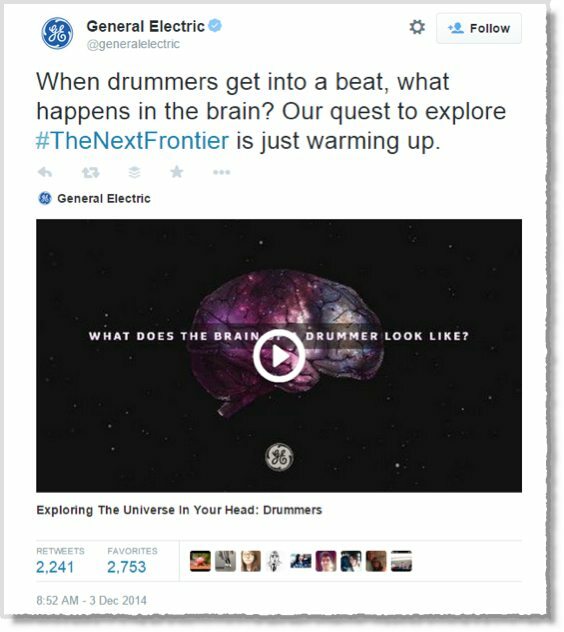 For example, General Electric in their #TheNextFrontier series posted this across social media platforms including Twitter, YouTube, Facebook, Google+ and Tumblr. 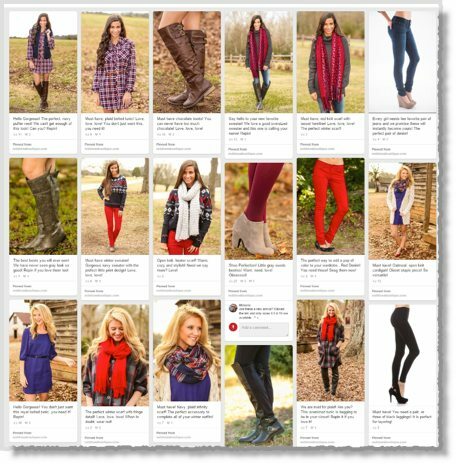 In blog posts, images have been found to increase engagement by 94%. According to an eMarketer report, photos accounted for 75% of content posted on Facebook with an 87% engagement rate, while other post types received no more than 4% engagement. Adding a photo URL can boost retweets by 35%, according to research by Media Blog. According to a survey by Software Advice, a social CRM research firm on social media content optimization, the top 2 ways most marketers optimize their content is by using photos or images and including hashtags and usernames. Images are a great way to showcase your business and brand personality to drive conversions. Cover images on your social media platforms can drive action and sales so it is well worth your time and efforts to spruce them up if you haven’t done so in a while. Not convinced? Check out this case study on UNICEF. 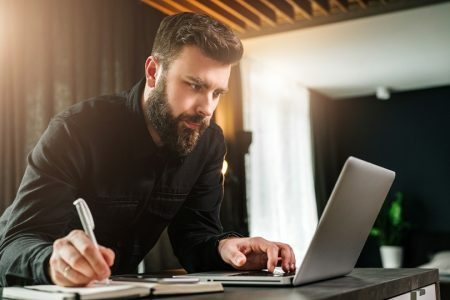 Using the same cover image across social media platforms reinforces branding and makes it easier for people to feel connected with you and your business. Post images that you have created or that you have a right to publish (like this example from the North Face). Mix up the types of images you post (e.g., banners, infographics, photos, memes, etc.). Take impromptu photos on your smartphone and post them in real time. Post “Caption This” photos. For example, post a funny picture on your page and ask your fans to offer their best caption for the photo. Avoid “selfies” unless you’re posing with a celebrity. Content marketing requires understanding our audiences and giving them what they want in comprehensive yet easily digestible ways. It is a strategic process. The editorial calendar makes your plan tangible to all those involved and helps build the accountability and discipline required for sticking to producing content consistently. Content that is focused on your audience needs will be welcomed and appreciated by them. A simple yet effective solution is to create and use a content calendar to schedule and manage the different content items. Use what works for you and your work flow, whether it be a spreadsheet, Google calendar, Trello, Viraltag or even a content calendar plugin like CoSchedule. The biggest benefits to using a content calendar are to help keep your content consistent and relevant; to predict future engagement; helping at the buying stage; as well as helping with accompaniments like associated tweets, landing pages, nurture emails etc. Ensure these elements are part of your content calendar. 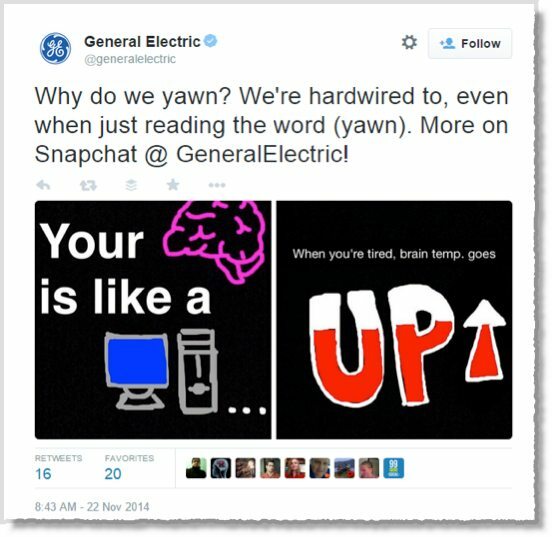 User-generated content gives you the benefit of leveraging a stream of content from fans who are constantly consuming – and sharing about – your brand. As a result, you get more credibility and extended reach from the authentic content that your loyal fans and followers share. Red Dress Boutique have tapped into this by running giveaways for customers who share a designated picture on social media. Nothing showcases the value of your brand better than content shared by your community. It also provides a perspective of your fans’ experiences and interactions with your brand, giving you more insights into your fan demographic and their interests for future marketing efforts. Rent the Runway, for example, is a business where women can rent high-end designer dresses and accessories for special occasions. The company asked users of their service to upload photos of their Cinderella moments to the site. They soon discovered, however, that users were posting photos to Facebook and Twitter anyway so decided to harness this organic sharing with a branded “Our Runway” campaign. The campaign has since built a user-generated database of images aimed at helping the person looking to rent a dress find what works well for their body type. According to iMedia, women who view these user-generated photos are 200% more likely to rent than those who view the standard dress shot of a model. 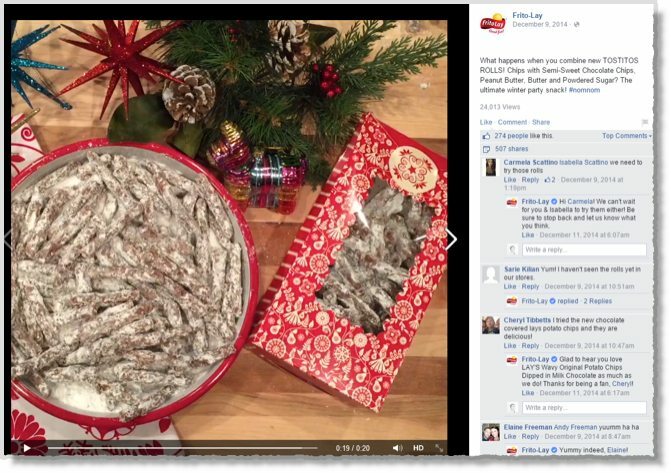 Build an engaged audience with content that your readers find highly contagious and by being responsive to comments, tweets and emails like Frito-Lay’s does on their Facebook posts. Find out where your target audience hangs out. Ask people to guest post or be interviewed. 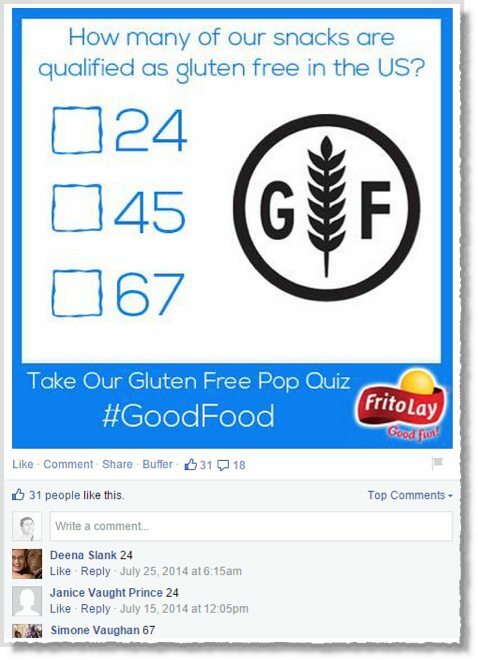 Ask questions in a visual format to get people engaged like Frito-Lay did with a pop quiz to help fans understand their products better. 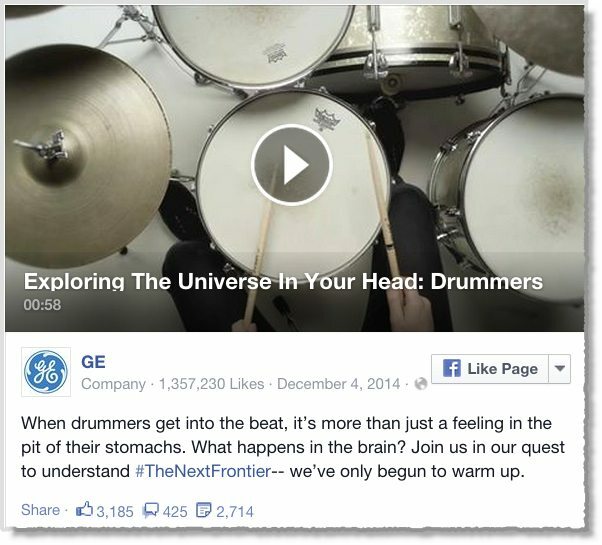 Create a contest around user-generated content. 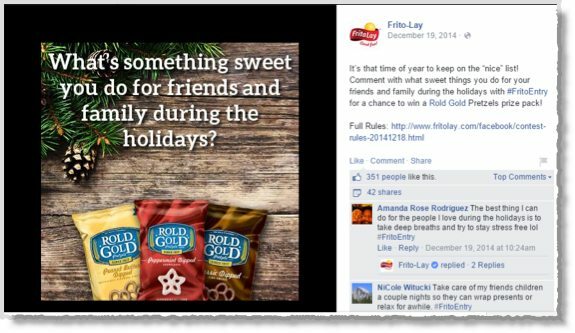 Frito-Lay tapped into the holiday season last year with this contest on Facebook. Ask for comments on blog posts via questions at the bottom of your blog post. Repost customer reviews on other platforms. 50% of users watch business-related videos on YouTube once a week. 64% of website visitors are likely to buy a product on an online retail site after watching a video. Not only does video work well on landing pages, but with Vine and Instagram video you can reach your followers and fans on platforms like Facebook, Twitter and Instagram. Videos also allow for the insertion of calls to action. The longer people are on your social media account watching a video, the more likely they are to follow a link and check out what you have to offer. 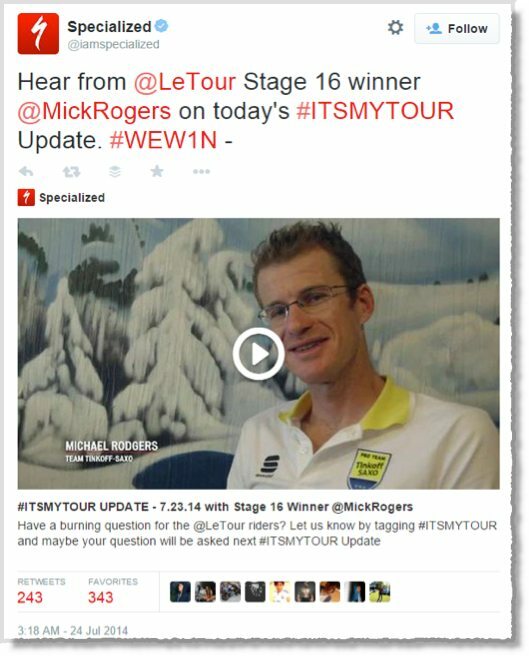 Specialized tapped into the Tour deFrance with its #ItsMyTour campaign involving video segments on Twitter. They were able to double engagement rates from the previous year because of video, and the fact that the company’s bike won 10 of 21 stages. Below is an example of the videos they pushed with Promoted Tweets. Your audience is always searching for new information and better ways to perform tasks so be informative. Be inspiring, like Upworthy which looks for inspiring stories to share with its large readership. Engage with your audience. For example, the Old Spice Man played by Isiah Mustafa answered fan questions on social media via short YouTube videos. Capture the moment. For example, when at a conference think about the end result you want before you start filming. Use your smartphone to capture the best tips from a speaker before or after their presentation. Be timely – get video content that is related to a current event, and share it sooner rather than later to tap into current interest. Keep it short and sweet. Record short videos with Vine or Instagram video and share directly. You have probably been told to produce awesome content, which implies that audience engagement rests solely on your ability to write well. 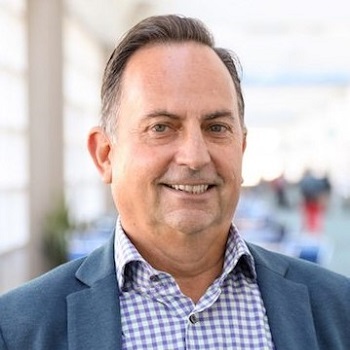 Playing it safe guarantees nothing but the status quo at best, so take a few calculated risks that can prompt your audience to admire your businesses authenticity and transparency while they laugh, smile and share. Buffer blogs post on “What Multitasking Does to Our Brains” really took off and got featured on Lifehacker. In the post, Leo Widrich plays the role of messenger by citing data and research about multitasking, thus creating a Them Vs Data argument. He cleverly used images and photos in the post to keep readers interested and reading. The post, at the time of writing, has a 148 comments on it. 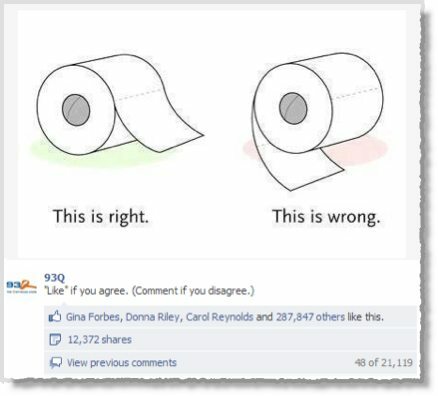 The post on toilet paper orientation is another that resulted in heated debate and received over 12,000 shares. There is even a Wikipedia page on the topic. 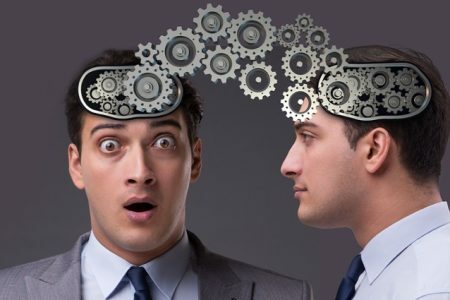 Research indicates that topics that create division within someone’s belief, behavior or feeling of belonging will generally cause them to confirm your stance or disagree with it. Consider piggybacking on a popular topic, fad or individual that people are already talking about. Use research or a credible source to create a Them vs Data debate as opposed to a Them vs You debate. 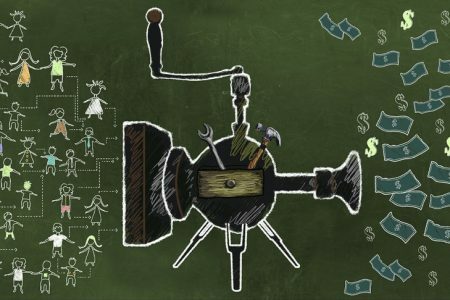 Animated GiFs are essentially short clips of images that play on a loop. These are a great way to engage your fans and show a little brand personality without necessarily focusing on your product or service. Consider telling a story, convey company culture and add a good dose of humor. 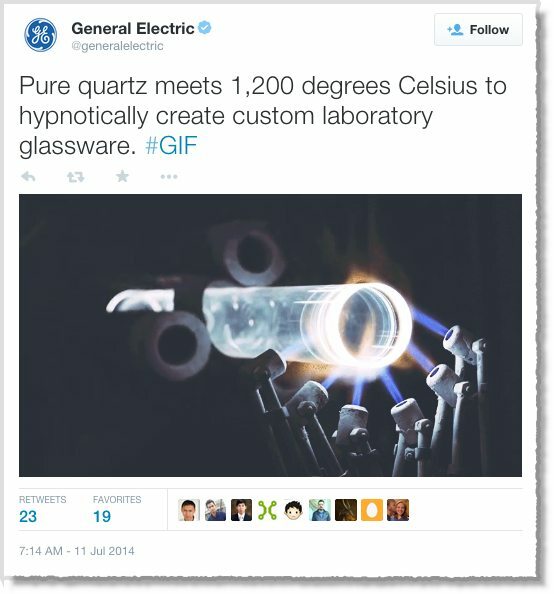 Make sure animated Gifs are part and parcel of your overall content marketing. 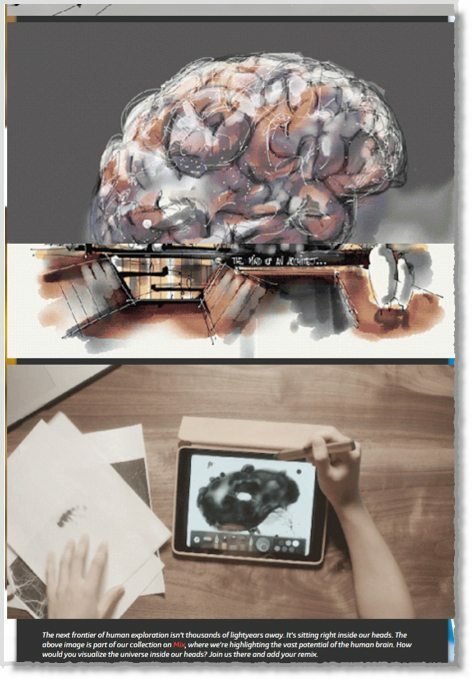 Make your own, using tools like Face to GIF, LICEapp, GIMP or Photoshop. Consider repurposing old content like webinars, articles or SlideShares into an animated GIF like this one. 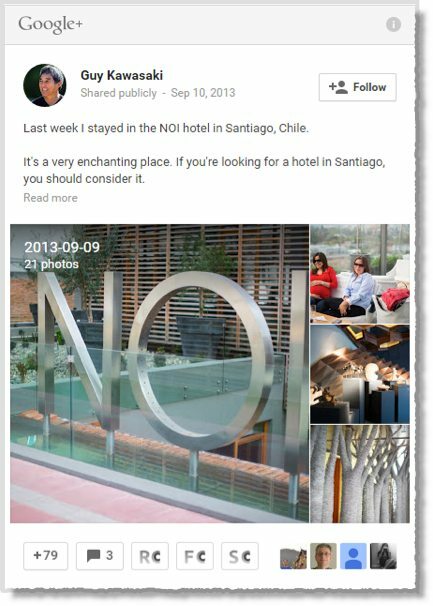 You can create photo albums on Facebook or Google+ that contain hundreds of photos. These are great for catalogues, and events like conferences or parties. The more pictures you have, the more people you can engage via commenting, follows and re-sharing. However, as great as photo albums are for organizing photos, generally speaking, few people actually click through an entire collection, even if you break it down into smaller albums. 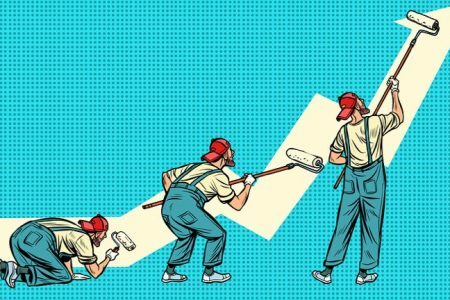 As you plan your visual marketing strategy for this year, you might want to look over your old marketing tactics and make them hip and fresh and in line with your plans for this year. With this in mind, here are a few additional resources in a visual marketing strategies infographic that provides 65 strategies to help revive your tired old marketing tactics. Let me know what content tactics you will be employing this year, and what challenges you face, in the comments below. Author: Vinay Koshy is the Founder of Sproutworth a content marketing and conversion optimization blog. Read his latest posts or follow him on Twitter.